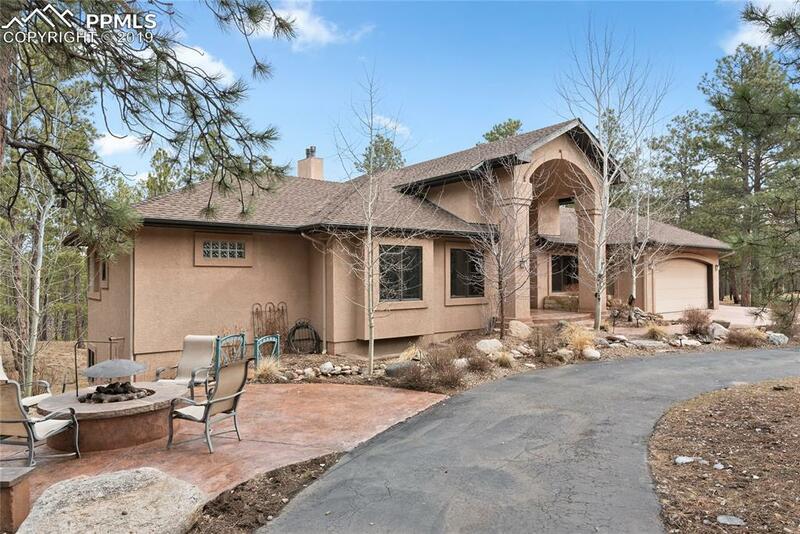 Quintessential Colorado custom built walk-out rancher perched on a knoll with 5 acres of well mitigated pines with 3 car attached garage and a 24x29 RV garage! Amazing outdoor living space and landscaping. 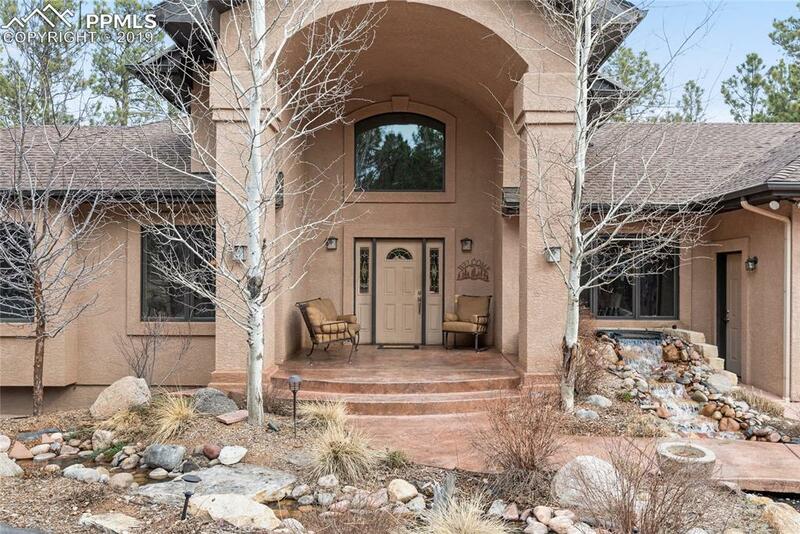 Custom designed recirculating river rock stream with multiple waterfalls, stream w/ bridge, outdoor gas fire pit, tons of beautiful landscaping, stamped & stained concrete paths, patio and entry. The back of the home features a 19x32 composite deck with gas stub for grill, hot tub, partially and partially uncovered Upon entering the home you are greeted by the expansive great room with tons of natural light, soaring vaulted ceilings, architectural niches, large windows, hardwood floors and a gas fireplace. Spacious kitchen open to the great room with hardwood floors, slab granite counters, glass tile back splash, stainless appliances, walk-in pantry, island, double oven, breakfast bar and eat-in kitchen nook w/ access to back deck. 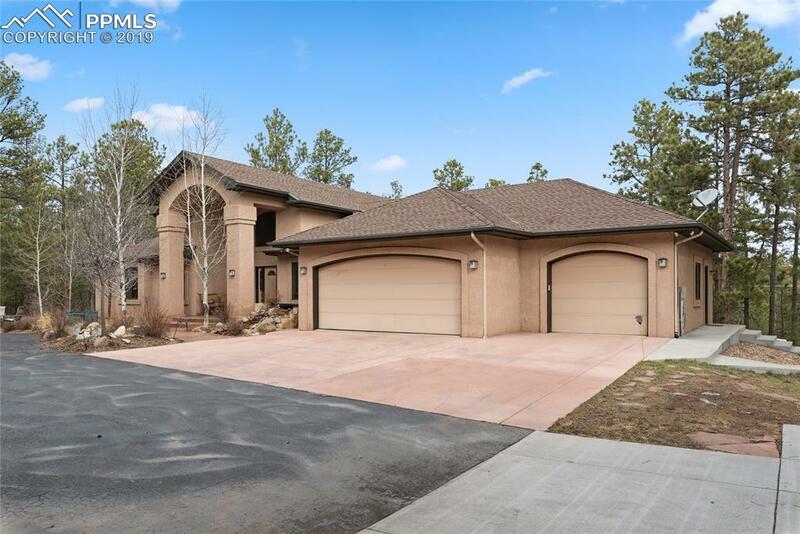 Luxurious and large master suite with walk-out to back deck/hot tub, sitting room, 5-piece master bath w/ jetted tub, dressing area and walk-in closet. Formal dining room with large casement windows and hardwood floors. Main level laundry and basement laundry. Walk-out finished lower level with 4 bedrooms, a spacious family room w/ gas log fireplace, game area, wet bar and walk-out to the lower level patio and fenced backyard. Energy efficient with 2x6 construction, stucco exterior, high end windows and radiant boiler heat. Finished and insulated attached 3 car garage with water hook-ups. All county paved roads to property. Asphalt and concrete circular driveway. 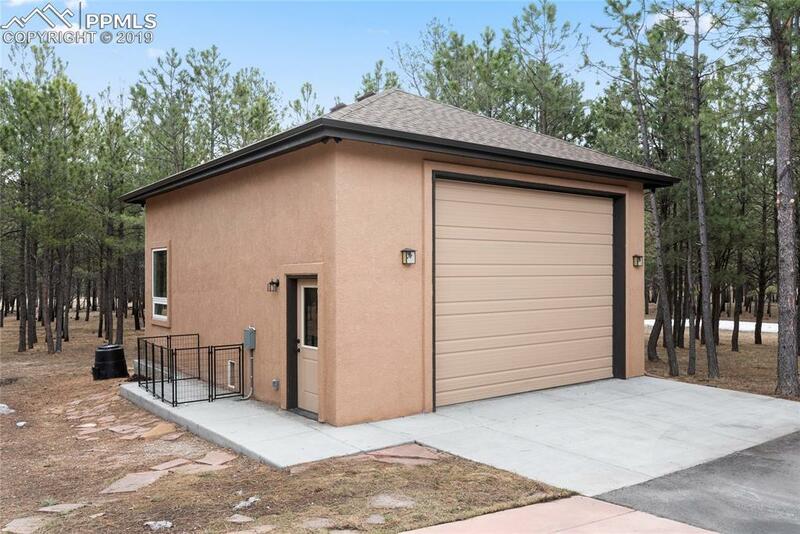 Huge main level laundry room/garage mud room w/ commercial sink and half bath. Located in a sought after subdivision with beautiful homes. Light covenants and HOA.